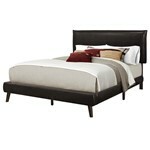 Start your bedroom do-over with this casual yet contemporary designed queen sized upholstered platform bed. 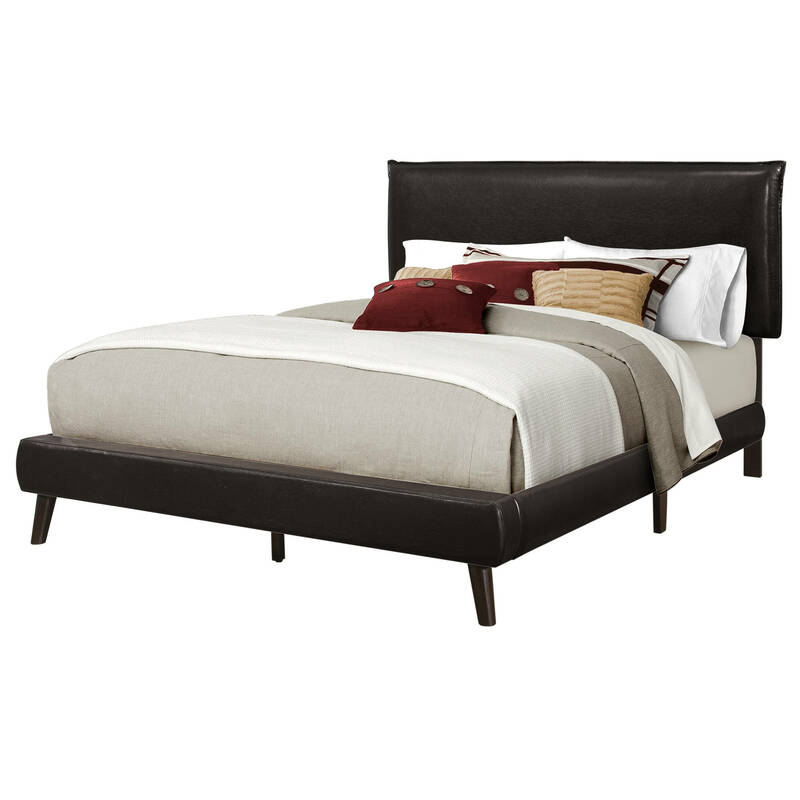 The clean understated elegance of the padded slip-cover style dark brown leather-look headboard, and the low profile frame supported by rich brown wooden legs gives the bed a subtle modern retro look blending effortlessly with any decor style. The box spring and mattress is not included and must be purchased separately. We recommend a 2 inch low profile box spring. All parts and assembly instructions are included.